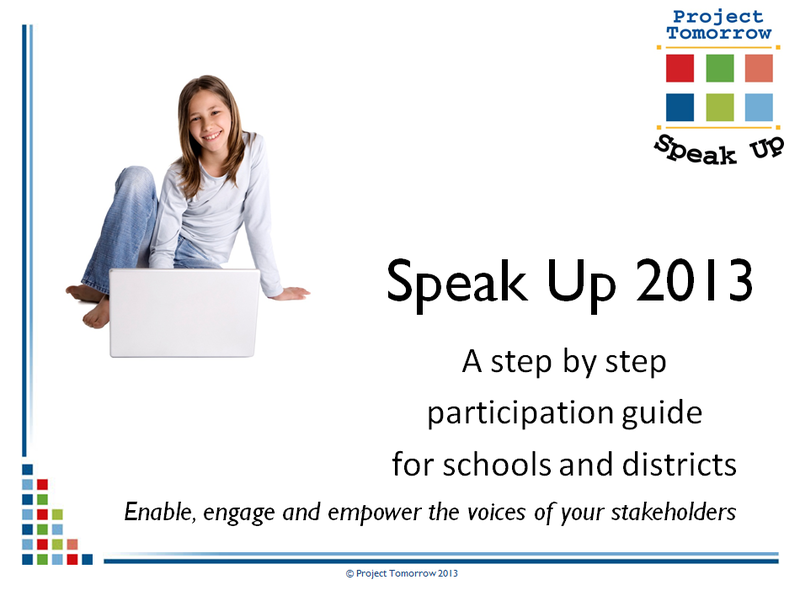 You are invited to the release of the Speak Up 2014 National Findings for K-12 Students! Our first Congressional Briefing is this Thursday! We can’t wait to release the Speak Up 2014 National Findings for K-12 Students. Be sure to sign up for the event if you’re in Washington, D.C., or sign up for the video live stream to watch it online. Keep reading to learn more about our upcoming briefing. ▪ National Release of Speak Up 2014 National Findings: You are invited to the release of the Speak Up 2014 National Findings for K-12 Students! ▪ Sneak peek: Get a look at our Speak Up 2014 student data before the report is released this Thursday. ▪ Announcing our second Congressional Briefing: Save the date! Plan to attend the release of the Speak Up 2014 National Findings from Teachers, Administrators, and Parents on May 28. Learn why students say they are more engaged in blended, flipped or virtual classrooms than in their traditional (non-digital) learning environments. Please join us for the release of the Speak Up 2014 National Findings from K-12 Students. This is the first of two Congressional Briefings on the data results from the 521,000 online Speak Up surveys submitted from education stakeholders nationwide in fall 2014. The April 30th briefing will include a presentation of the national findings and a moderated panel discussion with K-12 students. This year’s national report, “Digital Learning 24/7 – Understanding Technology-Enhanced Learning in the Lives of Today’s Students”will be distributed to all attendees. Special Guest Speaker: FCC Commissioner, Jessica Rosenworcel will be joining us to talk about the critical need to close the homework gap. Will you be in Washington D.C. on April 30th? RSVP for the briefing! Click here to save your seat. Can’t make it to the Congressional Briefing in Washington, D.C.? No problem! We’ll be live streaming the event as it happens. Click here to RSVP for the live stream. Additionally, you can request a copy of the report to be sent to you on the day of the briefing. Click here to request a copy of our Speak Up 2014 Findings Report. If you need additional information about Speak Up or the Congressional Briefing, please feel free to contact Jenny Hostert at jhostert@tomorrow.org or (949) 609-4660 ext 17. ▪ 75% of students (grades 6-12) say that every student should have a mobile device to use in school for learning; 84% of district administrators agree! Come and find out what how students in 1:1 classrooms are really using laptops, tablets and Chromebooks for learning – and what policies are needed to support mobile learning . Our panel of students will talk about the power of self-directed learning such as this – and give examples of how they want to do more of this type of learning in school. You will be surprised to hear how students want to use social media to collaborate with peers, teachers and experts worldwide on school projects. Click here to request a copy of the report to be sent to you on the day of the briefing. Our second Congressional Briefing is on Thursday May 28, 2015. Please join us for the release of the Speak Up 2014 National Findings from Teachers, Administrators, and Parents. This is the second of two Congressional Briefings on the data results from the 521,000 online Speak Up surveys submitted from education stakeholders nationwide in fall 2014. The May 28th briefing will include a presentation of the national findings and a moderated panel discussion with leaders in the education field. 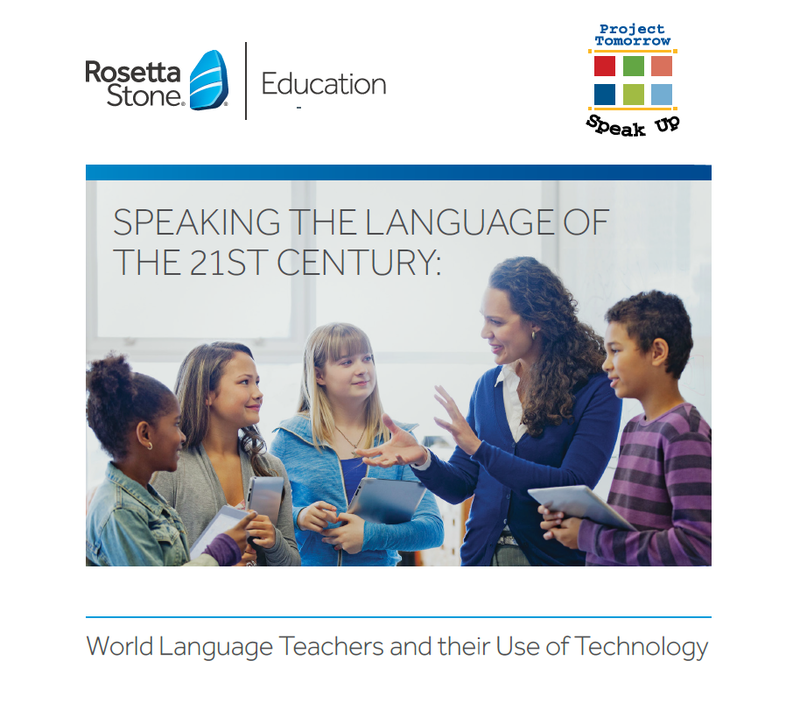 This year’s national report, “Digital Teaching 2.0 – Activating Technology-Enhanced Learning in America’s Classrooms” will be distributed to all attendees. Will you be in Washington D.C. on May 28th? If so, RSVP for the briefing! Click here to save your seat. If you are unable to attend the briefing and would like to request a copy of the report, click here or email us with your reservation request! Click here to visit our second briefing’s homepage. This entry was posted in Speak Up and tagged 2015 Congressional Briefing, Congressional Briefing, newsletter, speak up 2014, Speak Up data on April 27, 2015 by Lisa Chu. This entry was posted in Speak Up and tagged PowerPoint templates, Speak Up, Speak Up data on April 10, 2015 by Lisa Chu. All schools and districts around the country who registered for Speak up 2014 can now access their data for free. Here’s how. 1.) Click hereto access your reports. This entry was posted in Speak Up and tagged data release, Speak Up, speak up 2014, Speak Up data on February 4, 2015 by Lisa Chu. This entry was posted in Speak Up, webinar and tagged Blackboard Inc., Julie Evans, Speak Up 2013, Speak Up data, Speak Up webinar, webinar on November 12, 2013 by Project Tomorrow.